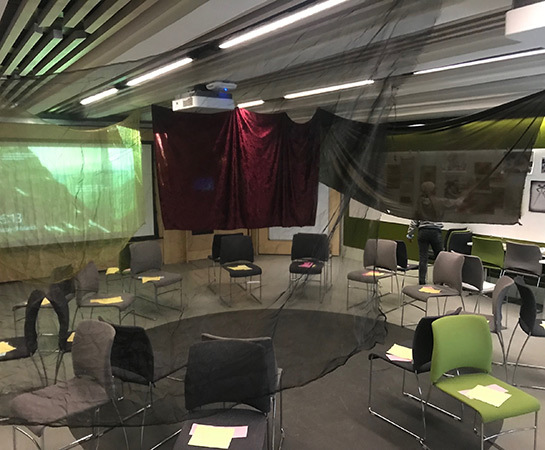 A year ago, in July 2017, I was fortunate enough to be able to attend a participatory workshop on Food Justice that was co-convened with Coventry University’s Centre for Agroecology and Water Resilience (CAWR) and Community Perspectives, a food-justice based community group. As part of that workshop, we were treated to an experience that was facilitated by Mama D the founder of Community Perspectives. Upon commencing my co-convenorship of the second-year core, GD304: Food Systems: Sustainability, Security and Sovereignty module, I was very keen to secure Mama D’s participation on the course as I was certain that her distinctive approach to sharing knowledge and experiences about food would be well-received by the students. 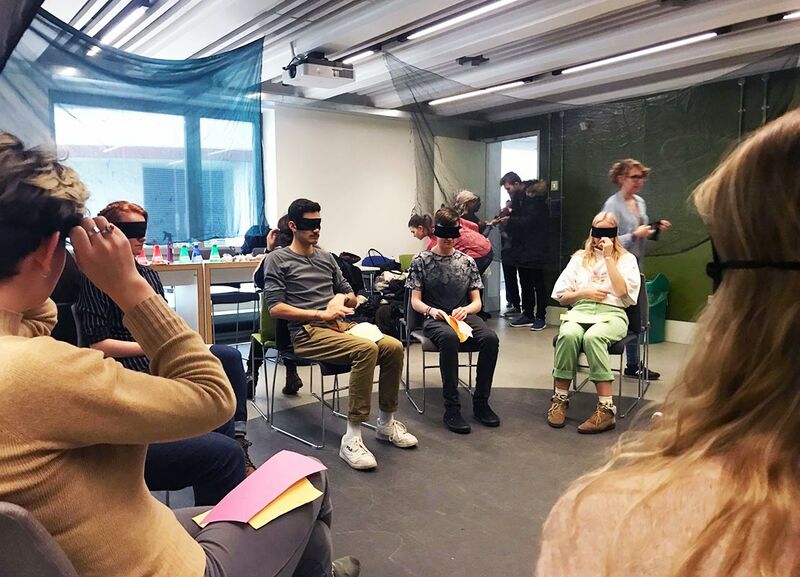 The Food Journey takes place in an open space, involves being blindfolded and hearing a narrated story of the journey of a number of common food stuffs, and the people who ate them. As such, it is a very innovative and interdisciplinary way in which to engage students with themes around food sustainability. It also allowed the students to experience an embodied encounter with the international relations of food politics. Again, thanks to the IATL funding, I was able to commission Mama D to deliver her Food Journey for our module. Mama D had agreed to adapt the journey so as to include her experiences of training and workshops on diversity, privilege, and 'inclusion', in the food journey. Being a Senior Teaching Fellow in the newly formed School for Cross-faculty Studies, I felt the freedom to experiment with creative educational approaches. I was also offered encouragement from our Academic Lead, Professor Cathia Jenainati, to combine my interests in sustainability and social justice with innovation in pedagogy. I hoped that the intervention would engage students with the themes of the module via its immersive, food-related theatrical delivery. This would, I hoped, provide space for less traditionally ‘intellectual’ experiencing, and reflection upon, the issues of food justice and food sovereignty. The biggest downside of the Food Journey was that more students were not available to attend. Though the event itself was organised to occur on a non-strike day, both snow and strike disruption meant that student turnout was a bit lower than had been hoped with 19 of the 33 enrolled students attending. In reflecting on the outcomes of the journey, I am fortunate enough to have access to comments made by students in their own reflexive analyses of the intervention. All of the students who mentioned Mama D’s journey were positive in their comments, even where they acknowledged the experience as challenging. I was delighted to have been awarded IATL funding as it seems that the interventions would not have been possible without it. 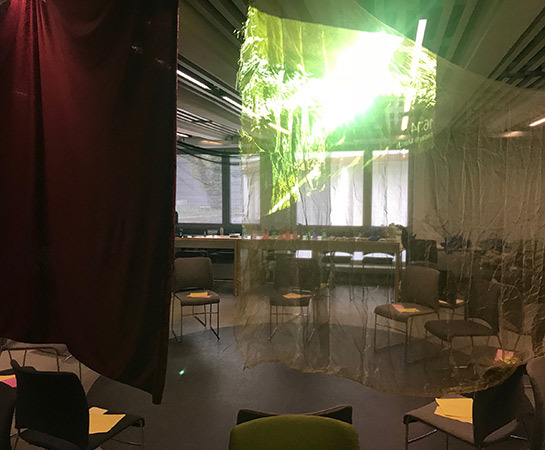 The biggest concern I have about both of these interventions, and indeed this kind of creative approach to pedagogy, is about the sustainability of running them recurrently if their delivery is dependent on outside funding. Both interventions have enabled me to think past the delivery of ‘traditional’ approaches to teaching in a classroom, to use the classroom in unfamiliar ways (as in the Food Journey), or else to go beyond it (as in Walking into HS2). "The food journey was a very interesting experience. Relying on all my senses except for my sight was a new feeling and I struggled with focusing my thoughts on the journey at the beginning. I really liked the idea of conveying the feeling of eating as an experience from different time periods." “Finally, the food journey has been an amazing experience, certainly up to any expectation. It was intense and allowed me to feel closer to the long and sometimes painful history of food and food systems. Now I am more aware that - even if we think we can always choose what to eat – our choice is on the contrary determined by actions undertaken in the past and decisions made by other people."